This project looks into the connections between selling-works/selling-themselves as experienced by artists. 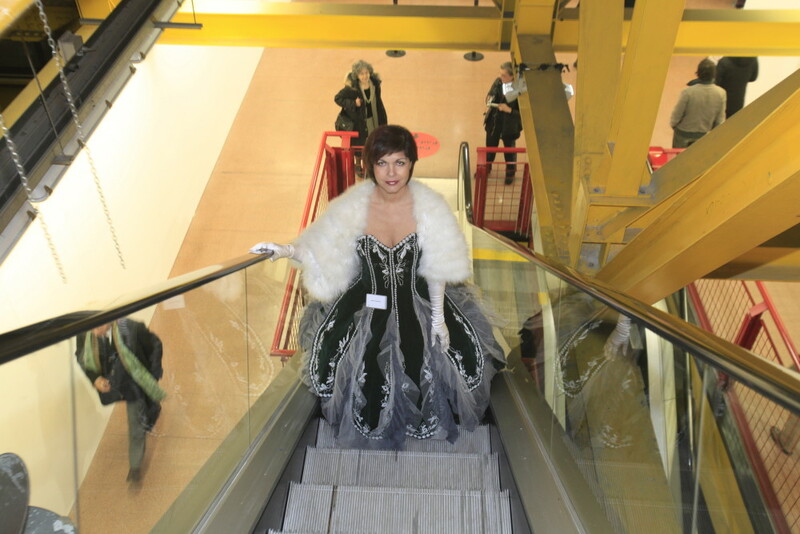 LIUBA went to the Opening of Bologna Arte Fiera dressed as a living sculpture showing herself for sale in the gallery booths. The Art System consumes, acquires, makes profits with artworks but what if what is being sold and bought is the real artist in person? Is the artwork not part of the artist’s life? How much of him/her is in the production and to what extent does selling artwork mean selling the artist? How do artists feel when they approach art dealers and gallerists in order to have their artwork ‘sold’? And isn’t it common that often, when buying an artwork, the art-system wants to buy his/her intentions, actions, models, pretending that the artist is following market rules? The performance was full of interactions. People really inquired about LIUBA being for sale, and some business was made.